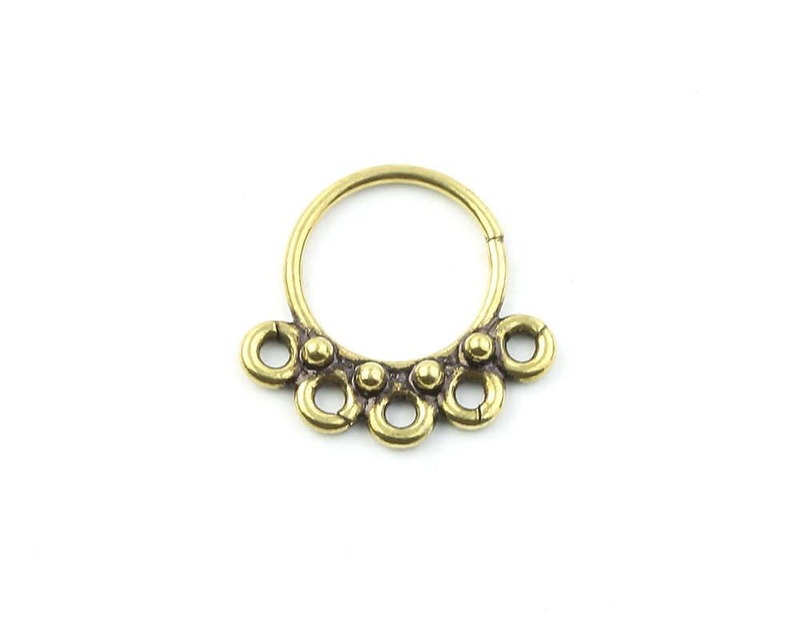 Septum Ring, Nose Ring, Body Jewelry, Tribal Septum Ring, Indian Nose Ring, Ethnic Septum Ring, Septum Piercing, Septum Jewelry. Intricately designed REAL septum ring. This is for a pierced septum. Unique and beautiful septum ring for pierced nose. Tribal, ethnic, delicate design. Can be worn as an earring for the tragus as well. Measurements: Length: 1/2"; Width: 1/2"